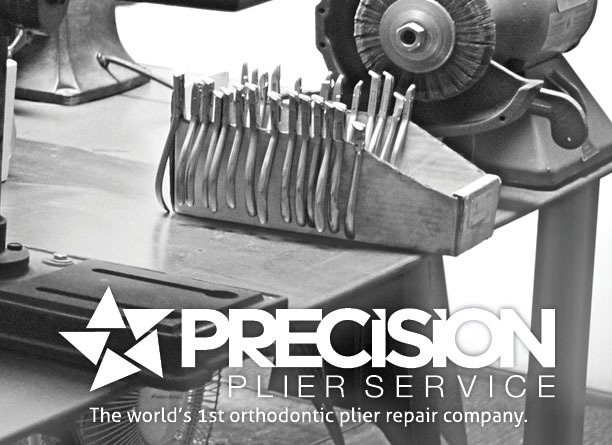 Precision Plier Service specializes in orthodontic instrument retipping, repair and service. All types including Distal End Cutters, Pin & Ligature Cutters, Hard Wire Cutters and so many more orthodontic pliers from every orthodontic instrument manufacturer. Orthodontic plier and instrument retipping, also known as reinserting is a process that is rarely performed due to the technical nature of the process. It’s rarer still that you’ll find a company that can execute the task of retipping or reinserting an orthodontic instrument correctly and without compromising the integrity of your valuable orthodontic pliers and instruments. There are many things that must be considered when retipping or reinserting orthodontic pliers. For example, the type of material being used to bond the cutting insert to the body of the orthodontic instrument. The wrong material will result in bond failure and the tip falling out in the patient’s mouth. The temperatures that the orthodontic instrument is exposed to, too much heat will damage the orthodontic instrument causing it to crack or worse melt. The type of material used to produce the orthodontic plier cutting inserts is also a very important consideration. How will the material interact with the bonding material and how will material respond to the heat and working conditions. A material that’s too hard can chip, too soft and the cutting edges will dull quickly. Will the material used for the orthodontic instrument inserts resist corrosion or will the inserts begin to rust and corrode immediately after being exposed to moisture? In order to deliver the best possible orthodontic instrument retipping results all of the above must be considered - and that’s before any physical work can even begin. Once the orthodontic plier inserts made from quality material are securely attached to the orthodontic instrument using the correct bonding material they must now be finished. Generally orthodontic companies offering to retip or reinsert orthodontic pliers are offering to do so to their orthodontic pliers only. This is generally because there are such a wide variety of orthodontic plier types, each with a unique shape and size. In order to properly retip and finish an orthodontic plier one must be familiar with all types of orthodontic pliers and orthodontic plier brands to ensure that the inserts are finished to replicate the inserts that were removed. It’s very common to get an orthodontic plier back from an unqualified company after being retipped or reinserted and it bears no resemblance of the orthodontic instrument you sent out to be serviced. Of course, when you entrust Precision Plier Service to retip or reinsert your orthodontic instruments you can rest assured that your orthodontic pliers are being retipped by specialist. Orthodontic instrument experts, dedicated to providing orthodontic professionals just like you with top quality orthodontic instrument services. As the world’s first orthodontic plier repair company no other company posses more experience or delivers a better quality orthodontic instrument repair – guaranteed. 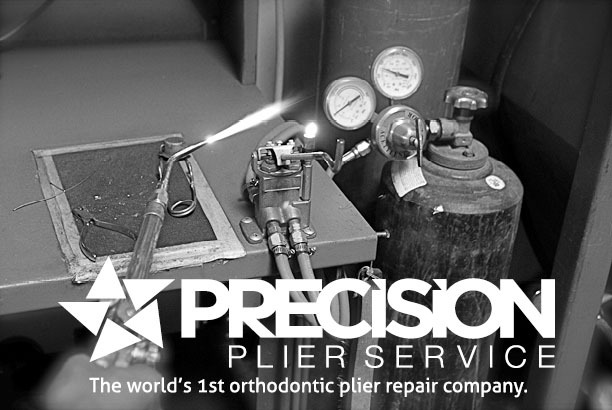 Precision Plier Service is trusted by thousands of orthodontists and more than 20 orthodontic instrument manufacturers from over 25 countries. 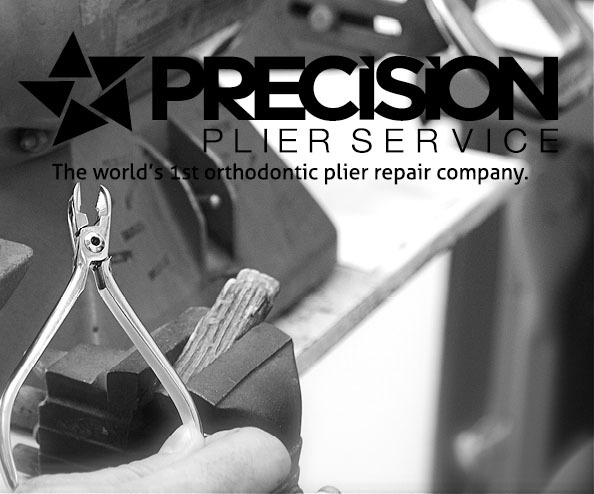 Trust the orthodontic plier repair experts, trust Precision Plier Service.